After the controversial rescue of distressed and abused OFWs in Kuwait, the remaining three Philippine embassy personnel will be released by the Kuwaiti government after 2-3 days from now. The positive response came to light when representatives from Philippine and Kuwaiti governments held a meeting and thus agreed to release the four Filipino drivers hired by the Philippine Embassy for its rescue mission. 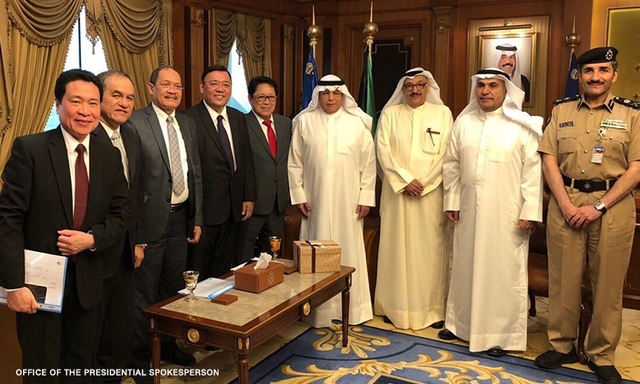 “The Philippine delegation also met with Kuwait’s Deputy Foreign Minister Al-Khaled Sulaiman Al-Jarallah, who assured the visiting Filipino officials that the release of the three Filipino diplomats are now being worked out with the Interior Ministry,” said presidential spokesperson Harry Roque.